• In primary aldosteronism, secretion of aldosterone is inappropriately high and, when the result of an adrenal adenoma, it is relatively autonomous from renin-angiotensin secretion. • Secondary aldosteronism is generally related to hypertension, and the aldosterone secretion is driven by high plasma renin. • Patients present with hypokalemia and hypertension that may be resistant to treatment. • The plasma aldosterone/renin ratio is the most reliable test for screening for primary aldosteronism. • A plasma aldosterone/renin ratio of 20 or greater and plasma aldosterone higher than 15 ng/dL support the diagnosis of primary hyperaldosteronism. Primary aldosteronism (PA) was first described by Jerome Conn in 1955 as a syndrome (Conn's syndrome) characterized by hypertension and hypokalemia caused by an adrenal aldosterone-producing adenoma. The secretion of aldoste-rone from the adrenal zona glomerulosa is regulated mainly by the renin-angiotensin system (RAS) and by potassium anions. PA is now recognized to be the most common form of secondary hypertension. In PA the secretion of aldoste-rone is inappropriately high, relatively autonomous from the RAS, and nonsuppressible by volume expansion or sodium loading. In secondary aldosteronism associated with hypertension, the aldosterone secretion is driven by high plasma renin and is suppressed by volume expansion (Funder et al., 2008; Young, 2007). Primary aldosteronism is typically caused by an aldoste-rone-producing adenoma (APA, 35% of cases), by unilateral or bilateral idiopathic adrenal hyperplasia (IHA) (2% and 60%, respectively), by an adrenal carcinoma (rare), or in rare cases, familial hyperaldosteronism (FH), either type I (glucocorticoid-remediable aldosteronism [GRA]) or type II (familial occurrence of APA or IHA, or both). There are two types of aldosteronomas: a corticotrophin-responsive (and renin-unresponsive) type and a renin-responsive type. PA had been previously described in less than 1% of patients with hypertension. However, recent studies estimate the prevalence of PA is 5% to 13% among hypertensive patients. 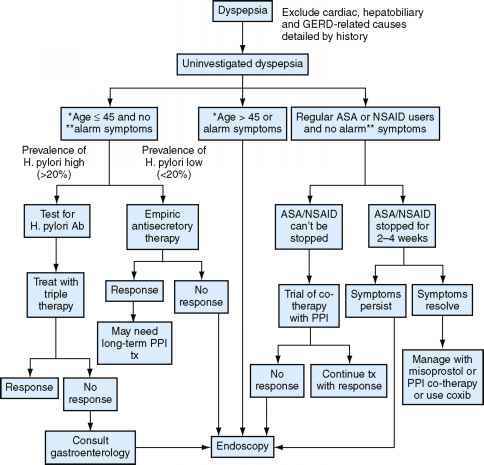 Figure 35-4 Indications for screening for primary aldosteronism and flow chart for clinical assessment. urinary levels of aldosterone, and are younger (<50 years) than those with IHA. Hypokalemia, when present, strongly suggests associated mineralocorticoid excess. However, most patients with primary PA have baseline blood levels of potassium in the normal range. Therefore, hypokalemia should not be the criterion used to make the diagnosis of PA. Screening for PA should be considered in patients with: hypertension and hypokalemia, treatment-resistant hypertension (three antihypertensive drugs and poor control), severe hypertension (>160 mm Hg systolic or >100 diastolic), hypertension and an incidental adrenal mass, and onset of hypertension at a young age (Fig. 35-4). When an evaluation for secondary hypertension is performed, the diagnosis of PA should also be considered. In patients with suspected PA, the screening can be accomplished by measuring a morning ambulatory paired random plasma aldosterone concentration (PAC) and plasma renin activity or concentration (PRA or PRC). This test can be performed while the patient is taking antihypertensive medications (except for spironolactone, eplerenone, and high-dose amiloride) and without posture stimulation. The aldosterone/renin ratio (ARR) is currently the most reliable means of PA screening. A test is considered positive when the PAC/PRA ratio is 20:1 or greater (when PAC is measured in ng/dL and PRA in ng/mL/hr) and the PAC is higher than 15 ng/dL. All positive results should be followed by a confirmatory aldosterone suppression test to verify autonomous aldosterone production before treatment is initiated. Aldosterone suppression testing can be performed with oral sodium chloride and measurement of urinary aldoste-rone or with IV sodium chloride loading and measurement of PAC. On the third day of the high-sodium diet, a 24-hour urine specimen is collected for measurement of aldosterone, sodium, and creatinine. Hypertension and hypokalemia should be controlled before the administration of the sodium load. Urinary aldosterone excretion greater than 12 ^/24 hr, when there is adequate sodium repletion (24-hour urinary sodium excretion >200 mmol), is consistent with autonomous aldosterone secretion. The IV saline infusion will suppress PAC to less than 5 ng/dL in normal subjects, but not to less than 10 ng/dL in patients with PA. If the diagnosis of PA is confirmed, lateralization of the source of the excessive aldosterone secretion is critical to guide further management. All patients with PA should undergo an adrenal CT scan as the initial study in subtype testing and to exclude large masses that may represent adrenocortical carcinoma. MRI has no advantage over CT in subtype evaluation of PA. In patients with PA, adrenal venous sampling is the reference standard test to differentiate unilateral from bilateral disease. This is important because unilateral adrenalectomy in patients with APA or primary adrenal hyperplasia results in normalization of hypokalemia and improvement of hypertension in all patients and cure of hypertension in 30% to 60%. Glucocorticoid-remediable aldosteronism is an autosomal dominant disease and may be diagnosed by genetic testing. 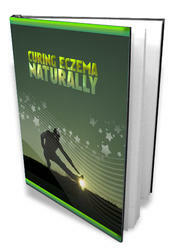 The treatment approach depends on the cause of PA. Unilateral laparoscopic adrenalectomy is an excellent treatment option for patients with APA or unilateral hyperplasia. BP control improves in almost 100% of these patients postop-eratively, and the average long-term cure rates of hypertension after unilateral adrenalectomy for APA range from 30% to 72%. A potassium supplement and/or a mineralocorticoid receptor antagonist should be given preoperatively to correct the hypokalemia but should be discontinued postoperatively. Medical management is recommended for patients with APA who do not undergo surgery and for these with IHA or GRA. Spironolactone has been the drug of choice for PA and is titrated to achieve BP control and normokalemia without the aid of oral potassium supplement. Eplerenone is a competitive and selective aldosterone receptor antagonist and may be used as an alternative agent. Compared with spirono-lactone, eplerenone has less antiandrogenic and progesta-tional actions but is more expensive. In patients intolerant to aldosterone receptor antagonists, amiloride may be an alternative treatment that can reduce BP and normalize potassium levels, but it does not protect against the negative effects of aldosterone excess. Patients with IHA may be resistant to drug therapy because of hypervolemia and may require a second antihypertensive agent such as a thiazide diuretic in combination with the aldosterone receptor antagonist.